The problems of the wine industry, and the economy in general, may be easing, but to succeed in the future, innovation and daring will be business as usual. The San Francisco phenomenon of (illegal, unlicensed, inexpensive) pushcart food vendors is very exciting. Spanning a spectrum of ethnicities, they offer empanadas, tacos, Chinese food, you name it. Because they’re unlicensed, they don’t go to the same streets twice in a row. Instead, they advertise on the Internet where they’ll be tomorrow—and hungry diners line up. It’s a slender one, but there may be a lesson here for wineries and restaurants. And that is, in the new economy, it’s important to be nimble. Now that we seem to be heading toward some kind of economic recovery, it may be that the woes of the wine industry are easing. I hope so. Some of the tales circulating over the last year have been truly discouraging: restaurants laying off staff or even closing; wineries teetering on the verge of bankruptcy; wine bars and wine stores hanging on by their fingernails. Yet it seems to me that this recession has brought about permanent changes that the wine and restaurant industries are just going to have to deal with. People decided last year that they’re going to continue to drink wine, but they’re going to spend less per bottle. That’s not going to change anytime soon. People also made up their minds to eat out less, and when they do, it’s at lower-priced restaurants. And even if they do go to a restaurant, they drink a glass of wine instead of buying a bottle. At least, that’s what the sommeliers tell me. The upshot for wineries is serious. They’re going to have to figure out a way to survive in a reshaped economic landscape. Unfortunately, there are precious few ways to do that. You can only drop your prices so far before you’re spending more than you’re making. 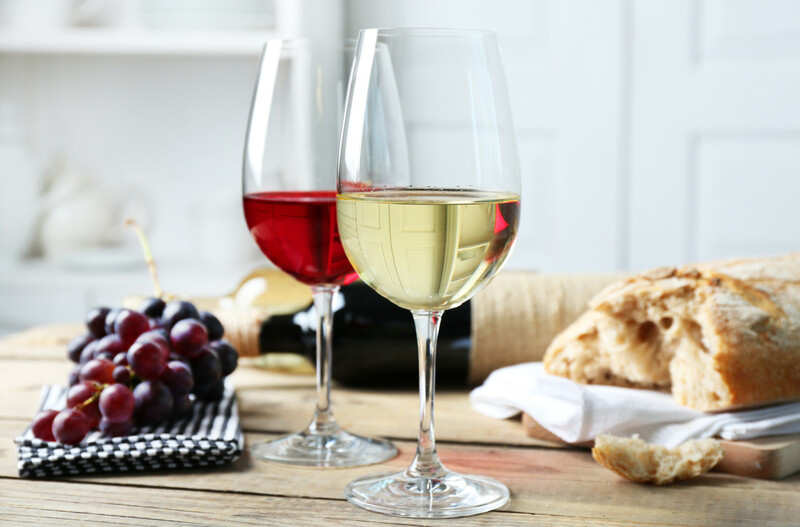 Many wineries have fixed costs—long-term contracts, non-negotiable loans, payroll and benefits for employees that have already been cut to the bone. But still, wineries are going to have to do everything they can to keep prices to a minimum, and certainly to avoid increases. Wineries can try to out-maneuver the competition by being savvier at their marketing and P.R. Look at all the free publicity Murphy-Goode got last summer with their “A Really Goode Job” contest. I don’t know what lasting impact that had on Murphy-Goode’s sales, but it couldn’t have hurt. There are other ways for wineries to take advantage of the relatively free cost of using the Internet creatively. Above all, wineries have to break out of the old box of telling their stories along the same old, predictable lines. It’s no longer good enough to send out a press release touting “cooling breezes” and “coastal fog,” or trying to interest people in the “fascinating story” of the owners who decided to “change their lifestyle” after a previous career in (fill in the blank). That is very 1980s, and it barely worked then. Today, new angles and approaches are needed. Wineries shouldn’t assume they can hang onto their customers forever. Many wine club members are getting older, while a younger generation is open to experimentation, trying new varieties and blends, exploring new wines from different places around the nation and globe. As Boomers pass on, wine club sales, even those that have been robust for years, are likely to suffer. Wineries have got to figure out ways to get across to Millennials. And then there’s the restaurant industry. If anything, it’s been hit even harder than the wine industry. People just aren’t dropping $100 anymore. Even in a restaurant-crazed town like San Francisco, the high-end eateries are taking a severe hit. It’s not that people are doing all their eating at home, although they seem to be doing more of that. But they are looking for less expensive ways to enjoy a meal. I’ve seen restaurants and wine bars get really creative in attracting business. One wine bar in Oakland has $1 tastings every Thursday evening. The owner doesn’t make money, but he doesn’t lose any, and he keeps his customers loyal. Other restaurants are lowering corkage fees if not eliminating them altogether. Their wine buyers are finding bargains from around the world, to reduce the cost of a bottle to under $25. That may not be good news to California vintners, but it’s a reality. Despite the gloomy pessimism, there are opportunities. I was talking to an entrepreneur in the wine industry, a guy who successfully develops new niches for making money. He feels that this is a great time for wine industry people to explore and exploit new ways of doing things. For example, he told me about a winery friend of his who’s tinkering with carbonic maceration, which is the way that Beaujolais is made. I don’t know if a carbonically macerated wine is going to be the next white Zinfandel, but it could be. The Trincheros didn’t know that white Zinfandel was going to explode when they first made it, back in 1972. The success stories over the next, difficult years are going to be about boldness and innovation, not business as usual.